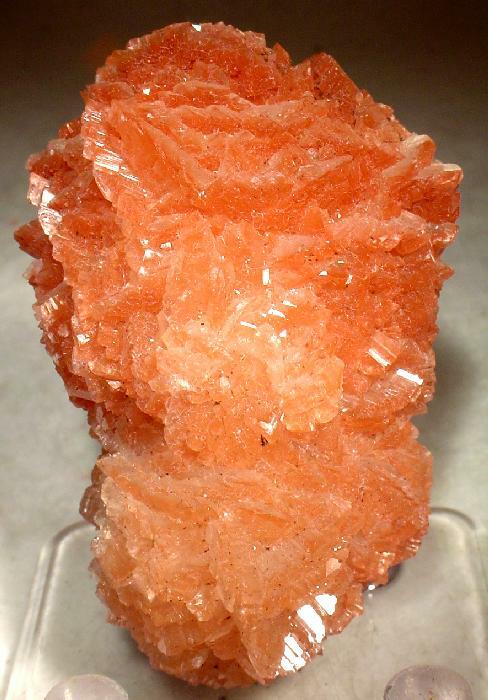 Calcite is one of the most common of all carbonate minerals and occurs predominately in sedimentary environments as a precipitate through evaporation of solutions, rich in calcium bicarbonate. 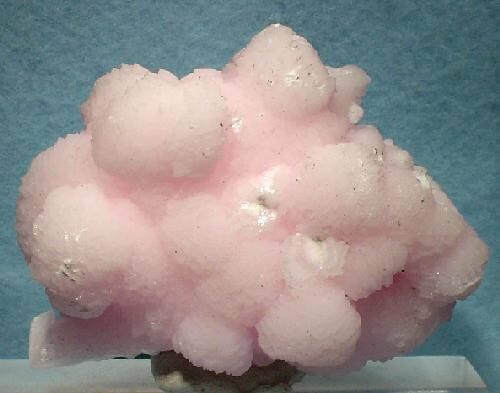 Calcite can take many forms including rhomboidal or prismatic crystals, as compact granular masses such as onyx, limestone, or marble, in its fibrous form it is alabaster. Colours include: colourless, grey, yellow, red, pink, orange, green, blue-brown and black. Calcite is also often fluorescent. Calcite is a powerful amplifier and cleanser of energy. By simply having a specimen of Calcite in a room it will clean all negative energy and increase the households energy levels. It removes stagnant energy. Calcite is an active crystal that speeds up development and growth physically, mentally and spiritually. Because of the variety of colours in calcite it will heal and energise all the chakras. Calcite connects the emotions to the intellect there by creating emotional intelligence. Calcite brings hope and motivation into your life. It combats laziness helping you to become more energetic on all levels. 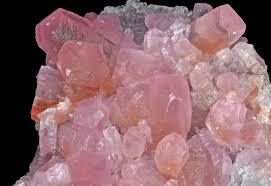 Calcite eases emotional stress and replaces it with serenity. It is a stabilising stone, it increases trust your ability to trust in yourself and others. It helps you overcome setbacks that you may encounter on you path. Calcite calms the mind and teaches you how to analyse a situation and it stimulates your ability to have insight into a situation, it also boosts your memory. It helps you to know instinctively which information is important to you at that moment. Calcite gives you the ability to change an idea into action. Calcite can help students to study more effectively. It is a spiritual stone linked to the higher consciousness that helps to open your higher awareness and psychic abilities. It increases spiritual development and allows the soul to remember. Black calcite is a record keeping stone, it is used for regression and regaining buried memories so that the past can be released. 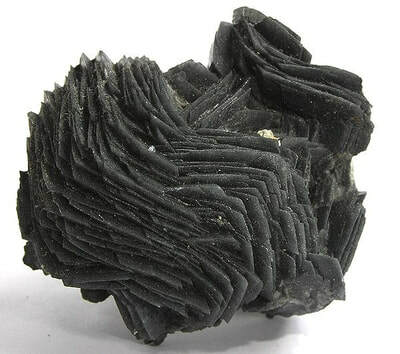 Black calcite returns the soul to the body after emotional or physical trauma. ​Black calcite helps you control and overcome depression and anxiety. This stone is for the Earth Chakra grounding you in the here and now and helping you find your path forward in life. Blue Calcite is a gentle stone, so it is ideal for recuperation from illness and relaxation. It lowers your blood pressure and dissolves pain on all levels. Blue calcite gently soothes the nerves and relieves panic attacks and anxiety. This stone relieves unwanted emotions. ​If used on the Throat Chakra it will help you to communicate clearly and effectively with others especially if there is a disagreement. 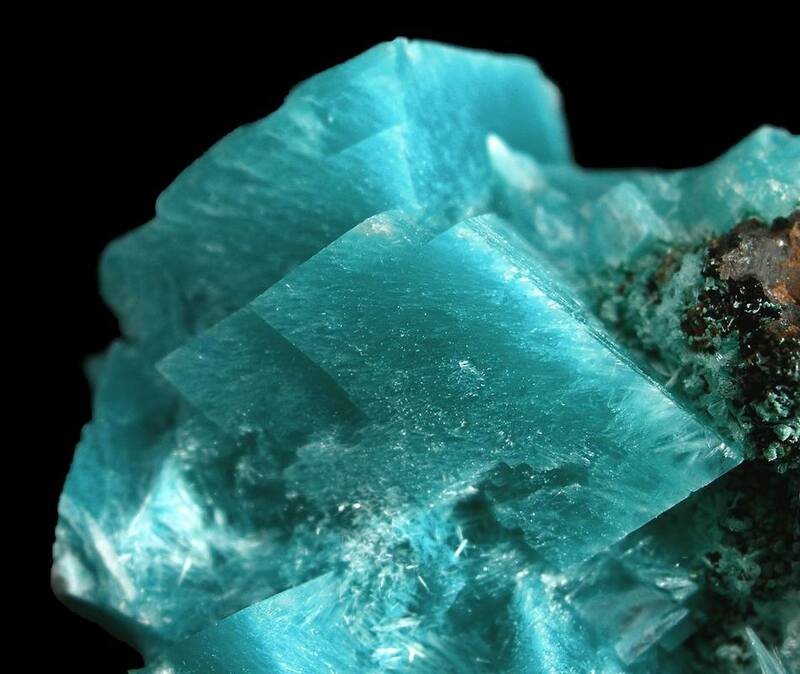 Blue calcite absorbs energy, filters it and then returns it back to you. Clear Calcite is known as the cure all stone. It is a powerful detoxifier. 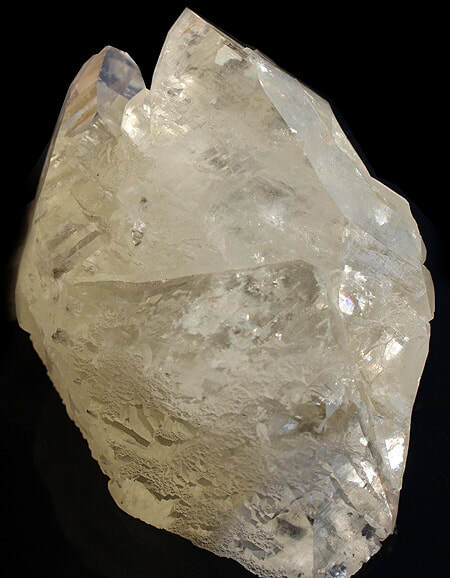 Clear calcite acts as an antiseptic so it is ideal for crystal water. It cleans and aligns all the chakras. ​When a clear calcite stone creates rainbows when in the sun, it can bring about major change in your life. This is a stone for creating new beginnings. 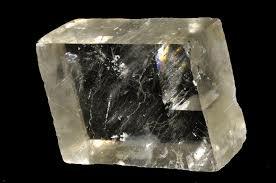 Clear calcite helps with the healing and revitalisation of all the auras and it opens and clears the inner vision and your eyes. Cobalto Calcite symbolises unconditional love and forgiveness. This is a stone of self discovery, it connects the heart with the mind. If you are unsure where you need to go spiritually cobalto calcite helps you find your innate talents and life purpose. 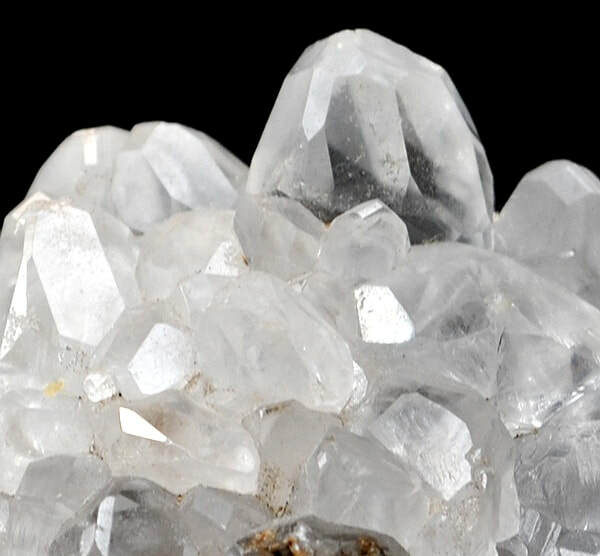 This beautiful crystal helps to transfer ideas into action without forcing the pace. It harmonises the intellect and the emotions, bringing the two into balance. This compassionate stone is effective for emotional healing and overcoming emotional blocks, loneliness, grief or a broken heart. It calms intense feelings, assisting in loving yourself and others and it promotes a sense of feeling good about your life. Fairy Stone calcites are pseudo-morphs created when calcite settled in glacial clay. Fairy Stone takes care of details and providing a safe and nurturing space in which to work both spiritually and practically. This stone teaches care and concern for the planet and all those upon it in a pragmatic rather than an idealistic level. It believes in getting things done in the most practical way possible. Fairy stone calcite will assist you in channelling, but there is nothing fairy like about the information that it offers. It is basic, grounded and to the point. ​Fairy Stone calcite assists in dismantling the defensive walls you have built around old hurts that lock you into old pain. It will overcome the fight or flight reflex by teaching you how to respond positively to each new situation. Fairy stones are excellent for arthritic pain and dissolving calcifications. Green Calcite is a mental healer, it dissolves rigid belief systems and old programming to restore balance and understanding to the mind. It helps in letting go of what is familiar and comforting even though it is no longer needed or wanted. It removes emotional and cultural conditioning preparing the way for a healthier view on life. Green calcite aids communication and helps the transition from the stagnant to the positive. It helps children communicate effectively with others. Green calcite is a stimulant for the immune system. This stone removes negativity and rids the body of bacterial infections. It reduces the symptoms of arthritis and the tightening of ligaments or muscles and is helpful in bone adjustment. 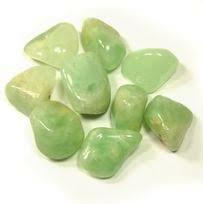 When placed on the Heart Chakra green calcite will help to reduce fever. Placed on a wound site it will relieve burns and inflammation. ​Green Calcite calms the adrenal glands and soothes anger issues. Green calcite should be cleaned after each use as it absorbs so much negative energy and disease. 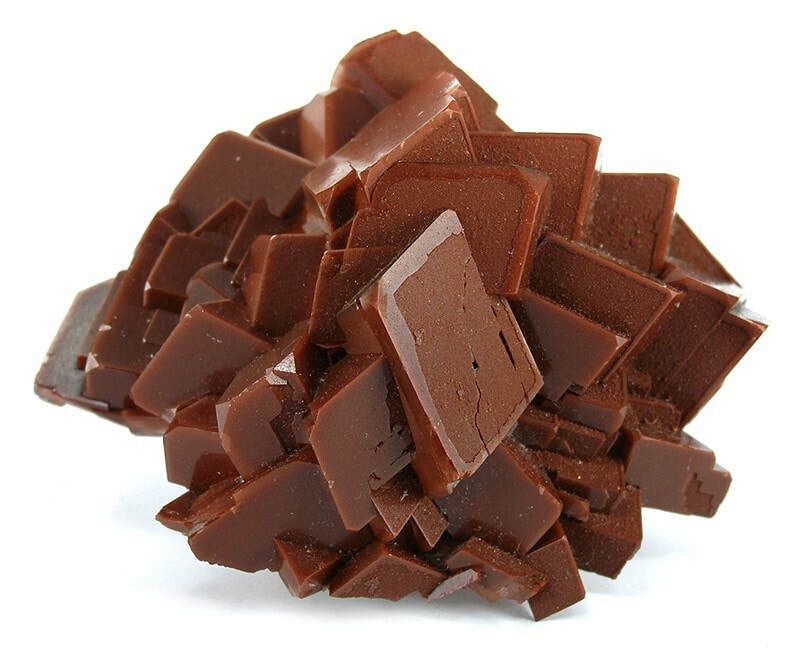 This crystal is a naturally occurring combination of hematite and calcite hence the rather odd name. 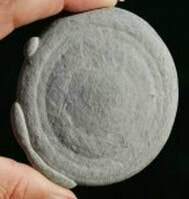 This is a stabilising stone that is ideal for grounding you in the here and now. It is a stone for the base chakra as it balances the energy of the Kundalini at its source. If placed in your home or office hematoid calcite will absorb and clean negative energy in the area. Hematoid calcite will reduce feelings and acts of physical and mental aggression and angst in people who are psychological and physical predators, it will help them understand that they are the ones suffering not their victims. This stone is ideal for improving and boosting the memory. Lost something or can't remember why you walked into a room. Hematoid calcite will assist you in improving your memory retention, reduce confusion and restoring structured thought patterns. This is a long finger like crystal that can be bicoloured with orange calcite, it is a spiritual guidance crystal that will fire up your creativity on all levels. It amplifies and activates kundalini energy. This stone removes disharmony, negativity and blockages from the physical and etheric body. Icicle calcite connects your mind with your emotions and will increase your ability to see problems and situations in a new way. This stone will help you to understand the cause of psychosomatic disease and DNA imbalances and assist you in correcting the problem. 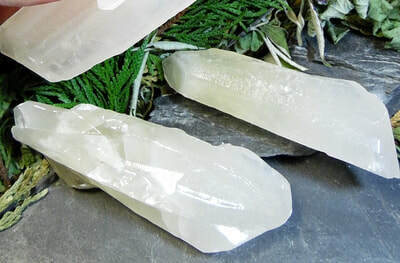 ​Spiritually icicle calcite will help you understand and heal past life issues that have been brought into the present and are still negatively affecting you today. Icicle calcite gently removes fear and stress by helping you understand the situation, which then helps serenity enter your life. It will guide you on your future path wiht courage and conviction. Mangano Calcite is a heart chakra crystal that will help you get into contact with the angelic realm. This is the stone of forgiveness. Mangano calcite releases fear and grief in the past and present bringing unconditional love to yourself and others. It increases your self worth and self acceptance. Mangano calcite heals nervous tension, panic attacks and anxiety. This stone eases shyness, fearfulness, agitation and wildness. It will help prevent night terrors and nightmares if placed under your pillow at night. ​Mangano calcite is helpful for anyone who has suffered trauma or assault it helps ease the self doubt and fear. It will promote awareness, an open heart, playfulness and cooperation with others. 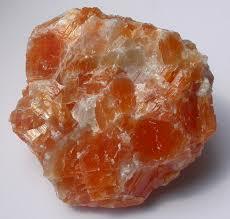 Orange Calcite is a highly energising and cleansing stone, especially for the lower chakras. Orange calcite balances the emotions and removes fear. This stone overcomes depression and anxiety. It increases your potential to succeed. Orange calcite is ideal for the sacral chakra as it will balance and heal the reproductive organs, gallbladder and upper and lower intestines. Orange calcite is perfect for irritable bowel syndrome and removes unnecessary mucus from the system. Stellar beam calcite is named for its multi and inter dimensional properties and for its perceived ability to link to spaceships and extra terrestrials, the double terminations of stellar beam calcite channel a dual beam of powerful energy that lifts to an exceedingly high vibration and, on the stellar gateway chakras, facilitates travel across vast distances in time and space. It is excellent in the centre of a medicine wheel. If placed on the third eye or crown chakra, this stone opens the higher crown and soul star chakra and eases attunement to divine energy, higher guidance and elevated levels of consciousness. Taking you directly to the heart of 'all that is', it lights the way, back and assists in remembering what happens in outer or inner dimensions accelerating spiritual growth. This stone assists in breaking old patterns, including spiritual beliefs or pathways that no longer serve your purpose and the life you were born to live, and brings forward wisdom and skills that you need. 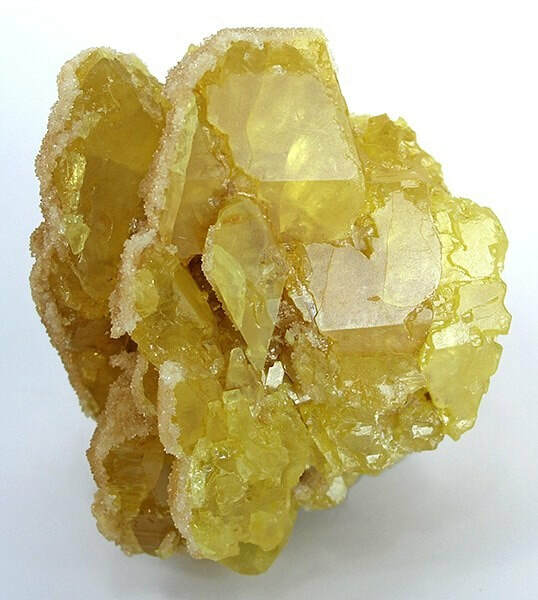 This calcite has many names such as yellow, gold or honey calcite the naming convention is because of the depth of colour in the crystal rather than being a different crystal altogether. Yellow Calcite is excellent for meditation and attuning to the higher mental planes. It instils mental alertness while it grounds the higher mental energies to the physical realm. Placed on the Solar Plexus chakra yellow calcite will help your digestive system, diaphragm and skin. Yellow calcite will help you relax but it will also give you energy to move forward with your life. Yellow calcite stimulates the will. ​Its energy particularly as crystal water is uplifting. It helps with meditation and inducing a deep state of relaxation and opens you to spiritual guidance. Yellow calcite opens the higher mind.